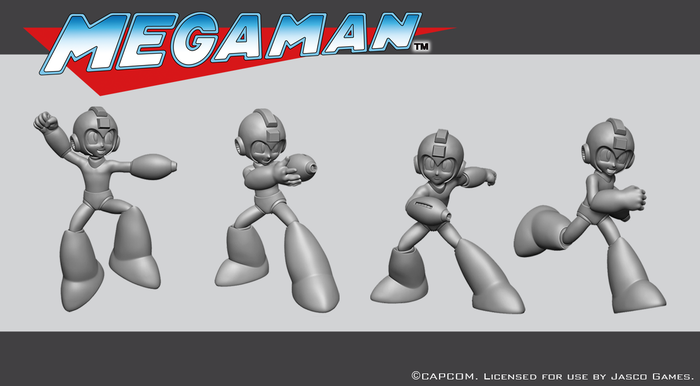 It's been a while since we last checked in with Jasco Games' Mega Man: The Board Game, but rest assured that time has not been spent idly -- development is indeed underway and the final miniature sculpts recieved the Capcom stamp of approval. 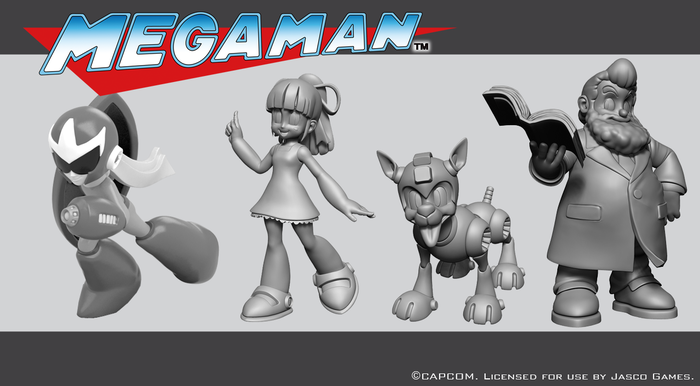 After the break, you can check out final renders and molds. 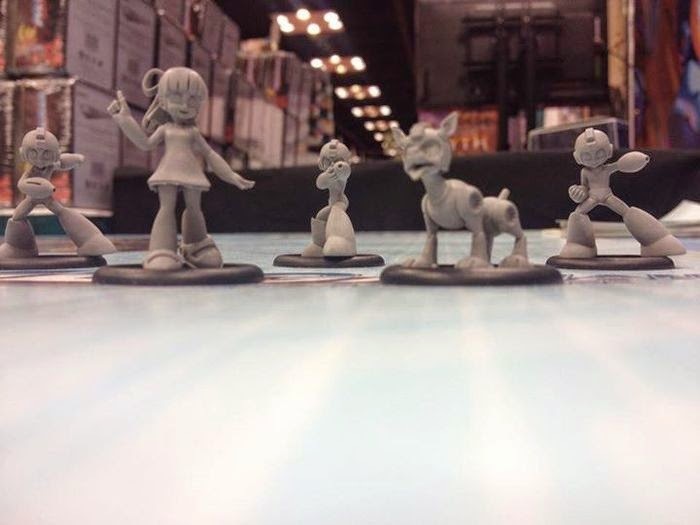 It was a scrutinizing approval process, Jasco says, and now they're setting their sights on getting these guys colored. Best wishes to the Jasco crew! We're looking forward to this one. 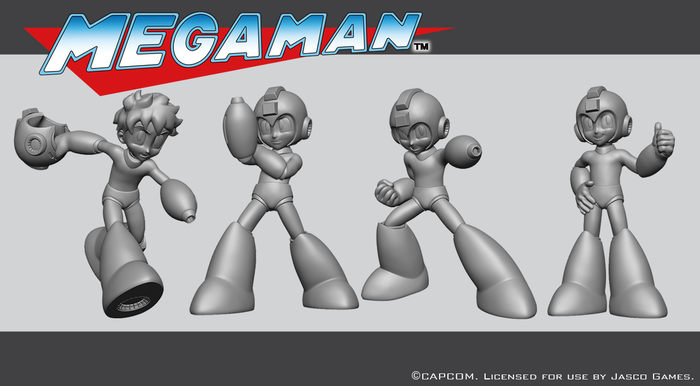 I want this mainly for the figures, they look great. The Buster opening looks kind of puny. 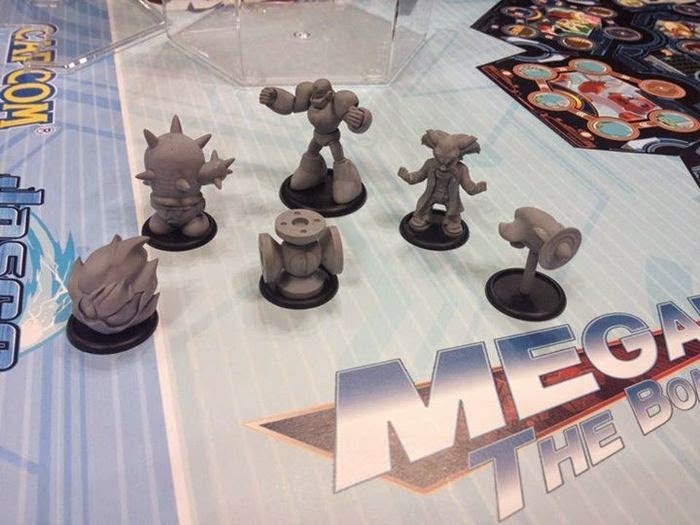 I don't play these kinds of games, but I would buy this in a heartbeat.